Dread Central shared some pretty cool info this morning for Starship Troopers fans. 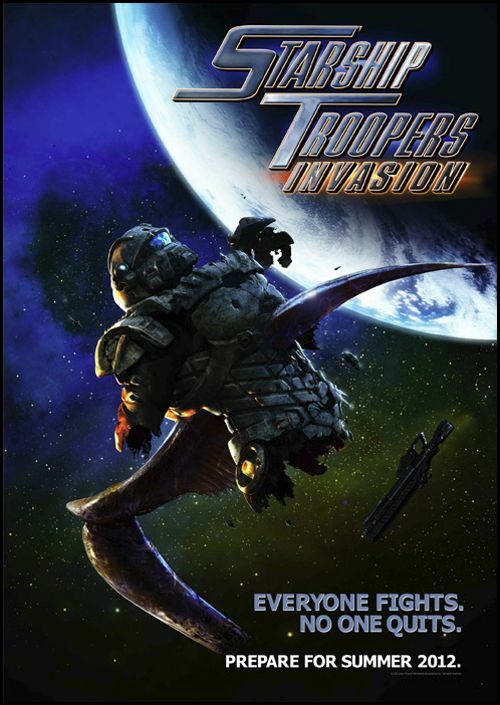 Sony Pictures Home Entertainment will release STARSHIP TROOPERS: INVASION in summer 2012. The difference is this feature will be that it's all CGI, remember that animated CG Starship Troopers series from the early 2000's? Like that! Anyway, I really enjoyed the last movie and to have the alien bugs comeback should be a real treat plus judging by the cool promo poster they aren't holding back. And remember, "the only good bug, is a dead bug."